When you go on a vacation, a rental car is the best option for getting around. Whether you’re planning a trip to Hawaii or looking at rental cars in Grand Cayman, a rental car relieves the hassle and expense of transportation issues while on vacay. 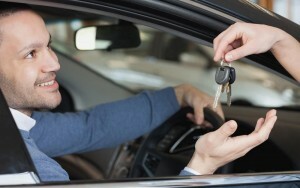 1) Choose the right car: First and foremost, it’s important to evaluate what type of vehicle you and your family need. You should consider the size of your group. If it’s just you and your partner, then a compact car should be fine. However, it you have a large family or a significant amount of luggage, you should consider a minivan or a SUV. 2) Shop around: You should always look around at various companies before deciding on one. Browse through the various Cayman car rentals before deciding on one in order to find the best price. Some companies offer deals and coupons for particular dates. 3) Know the rules: Before you sign a contract, it’s essential to know what you’re signing. Various companies have different restrictions such as who can drive the car, where you can drive, and how far you can drive. Some companies offer unlimited mileage, however, they may charge you if you leave a certain area or radius. Many companies install a GPS into their cars so that they’re aware of where you’ve been and how far you’ve traveled. Other companies charge you if you go over 80 mph. Therefore, it’s crucial to read up on all the restrictions and guidelines prior to signing a contract. 4) To insure or not to insure: Some companies require rental insurance while others don’t. A majority of car insurance companies cover rental cars, so make sure to check with your company ahead of time. Also, some major credit card companies insure by paying with their cards. 5) Inspect the car prior to departing: It’s absolutely imperative that you inspect the rental car thoroughly before driving off the lot. You want to check for any damage on the inside or outside, everything from scratches to dents. Make sure that the company has the damages on file before you leave with the car. 6) Fill up the tank! : Many people aren’t aware that you absolutely need to fill up the gas tank before returning a rental car. Many rental companies charge a premium if they’re stuck with filling up the tank. Guest post is provided by Andys Rent-A-Car. Andys is one of the leading Cayman car rentals on the island. Check out their website for more information.